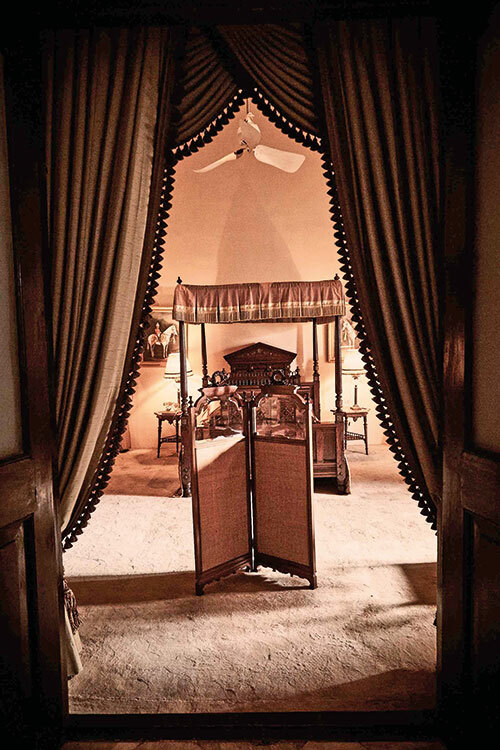 Resonating with an unmistakable old-world elegance, the restored erstwhile home of the Nizam of Hyderabad — envelops you in its regal, opulent aura…. 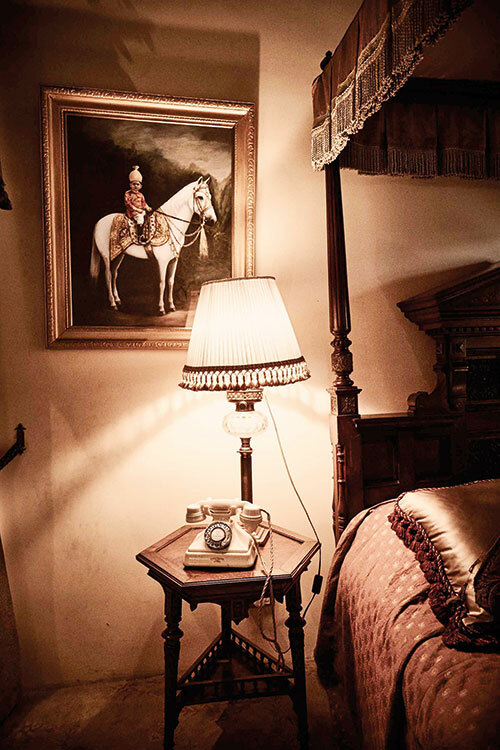 In a city that speaks eloquently of its historical legacy stands a prestigious property that seamlessly draws from the days of yore, when royalty held sway. The Taj Falaknuma Palace is undoubtedly a statement of high-end style and ambience. 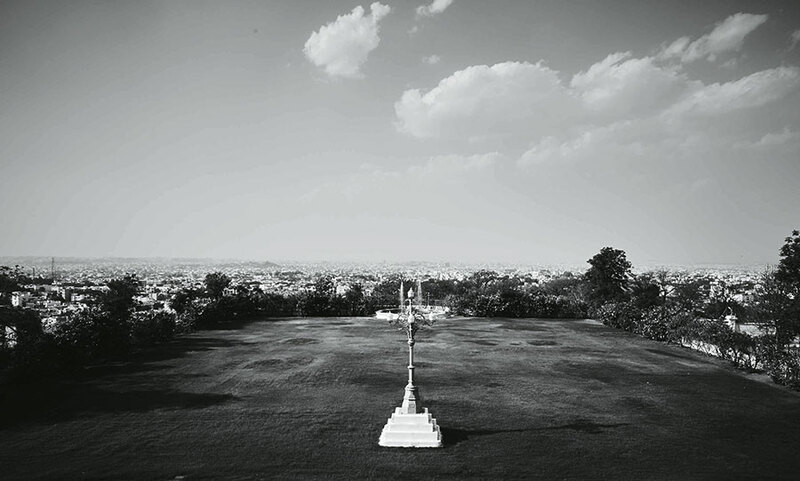 ‘Mirror of the Sky’ — as the palace is also known — is located on top of the Kohi-Tur hill to the south of Hyderabad. It weaves its spell from the instant you drive through its gateway, the well-appointed landscape stretching as far as the eye can see. The palace was originally constructed in the late 19th century by Nawab Viqar-ul-Amra. Later morphing into the Nizam’s guest house, it hosted many renowned personalities like King George V, Queen Mary and Archduke Ferdinand. This Italian-designed royal residence has been effortlessly transformed into a luxurious hotel. Its interiors give the refurbished structure its period feel in the present-day where time seems to have graciously stood still. 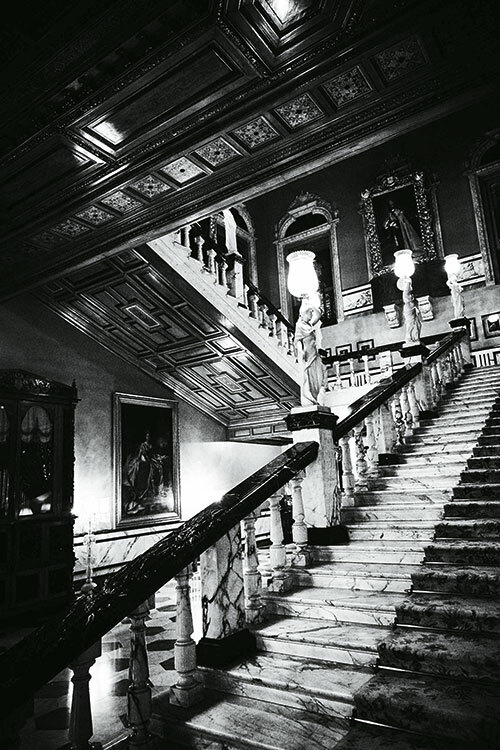 As you climb the grand staircase, you will notice statues of muses from Greek mythology. The main foyer has a marble vestibule with many seats that frame a fountain. Of historical significance to those who have a way with words is the room with a walnut-toned desk. It is here that the last ruling Nizam sat to write with his peacock feather quill. 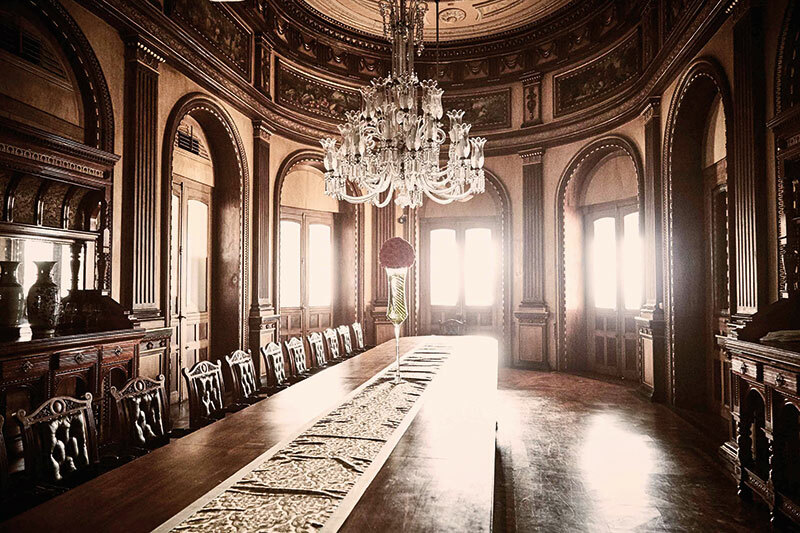 The Durbar Hall — referred to as the ‘Ballroom in Paradise’ — is bestowed with timber flooring, wooden ceiling, walnut wood furniture and Belgian chandeliers. And the 101 Dining Room houses the world’s largest dining table — belonging to the emperor, it was constructed in seven pieces and with 101 chairs. It can be said with veracity that the Taj Falaknuma Palace has risen from the ruins to stand proud and stately in Hyderabad, and be a place where dreams and fairy tales promise to come true….